Africa’s Small and Medium Entrepreneurs who are finding it hard to get funding have reason to celebrate. The Tony Elumelu Foundation, Entrepreneuership Program (TEEP) is set to offer financial support worth 100 million dollars and benefiting entrepreneurs have been selected from Uganda, Kenya, Tanzania, Nigeria, Ghana, and Zambia among the 51 African countries year. 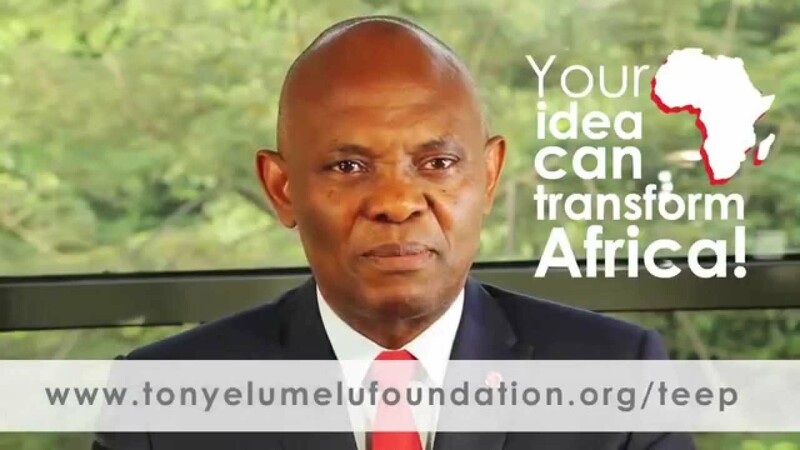 This communication was revealed by the CEO of the Tony Elumelu foundation, Permindar Vir, while addressing close to 10,000 business owners at the entrepreneurship boot camp that is taking place at the Covenant University, in Ota, Lagos Nigeria. Permindar said that they will support close to 10,000 viable economic businesses and each year they will be supporting 1000 who will have met the requirements of the foundation. “Supporting 1000 entrepreneurs every year means creating millions of jobs and as the business grows, it means close to 10 million dollars from each entrepreneur to their country this means reducing poverty levels in Africa,” said Permindar. As a foundation, they are not fighting poverty directly but are tackling it through nurturing entrepreneurs so that their businesses can grow and even mentor others to start and employ more people hence improving their livelihoods. Permindar explains that they are going to achieve the above goal by focusing on training and mentoring businesses, helping them design viable business plans, financial management and some tests on whether their business plans can attract funding. “Those who will emerge with successful business plans will be given a startup capital of $5000 to help them grow their businesses to another level, added Permindar. They are in talks with some financial institutions such that when entrepreneurs under the foundation present their business plans and proposal they are up to date and should be considered for funding. The Tony Elumelu Foundation Entrepreneurship program attracted a total of 20,000 applications of which only 1000 emerged successful and out of these, 30% are into agriculture sector followed by ICT.